Acquiring a horse in today’s world can be a daunting project. 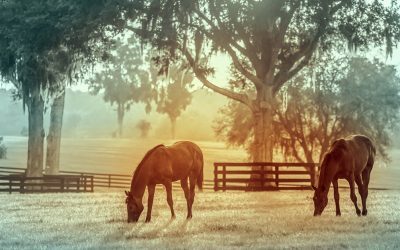 The options of how and where to acquire a horse are endless and transparency can be an issue. 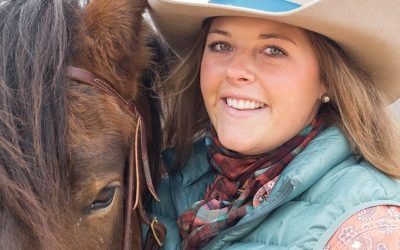 As prospective horse owners, we often have multiple needs that we look for our future horse to fulfill. Unfortunately, finding the right horse from a place you can trust can be much more difficult than it sounds. For example, I just went through the process of finding a new horse for our family. I was looking for a horse that would be rock solid for my six-year-old daughter, yet also would be forward and athletic enough for an adult to trail ride. In addition, I wanted a horse that was very affectionate with people and easygoing with other horses. This is a tall order and I knew that it could take some time. While searching for this unicorn horse, I had all the fears that most people have. I was terrified I would inadvertently select a horse that wouldn’t fulfill my particular needs. I have a small property and couldn’t afford to make a mistake and end up with an extra horse that wasn’t the perfect fit. One thing that struck me immediately when looking for my horse was the seemingly endless number of online listing sites that exist to buy or adopt a horse. It was important to me that I give a home to a horse in transition; so, I looked primarily at adoption groups to begin my search. I still struggled to find an adoption listing site that was easy to use, kept current by the adoption groups and had all the information that I needed. The second issue that I came across was a real lack of consistency and in some cases transparency in the horse rescue world. Each of the adoption groups on the listing sites feature different terminologies, ideologies and methods to market their horses. I was also surprised to see the wide range of website experiences featured by the varying organizations. Some were very glossy with big beautiful pictures of healthy horses, while some highlighted starved horses with very sad stories. Some of the groups appeared very transparent by publishing their adoption process and contract online. In contrast, some of them only had an inquiry form online before an interested adopter could even see their horses. Of the groups that featured their contract online, there also existed a wide range of their adoption “rules.” Some of the contracts seemed adopter-friendly and welcoming while some of them felt too overbearing and rule-heavy. 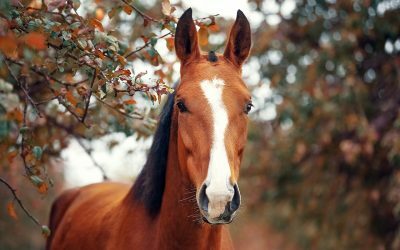 I found certain groups that featured long lists of requirements surrounding their adoptions, and many included a clause that they would retain ownership of the horse forever. I didn’t further my search with those groups as I wasn’t interested in committing to the lifetime care of a horse without ever actually owning it. Another item of concern was the great deal of discrepancy on how groups showcase their adoptable horses. Some had clear descriptions of their horses and capabilities online, while others only had one or two blurry, faraway pictures with virtually no information. I found myself veering towards the groups that featured multiple photos and videos of the horses and detailed, honest descriptions. Lucky for me, I was able to narrow my search to our Right Horse adoption partners knowing that each of them are dedicated to providing an excellent experience for both adopters and horses in transition. I needed to choose an adoption agency that I trusted completely. It was necessary for the organization to be very forthcoming on any issues the horse might have, what the horse could and could not do, and for what kind of rider and activities it was suited. I called one of the Right Horse partners and told them exactly what I was looking for in a horse. They told me about a horse they had that could potentially fit my needs: a 13-year-old mare that was peppy and brave on the trails, but super relaxed and great with the kids. They explained to me that the mare was beyond wonderful 99% of the time but that when she was in season, I better watch out! They shared with me that she hates to be in a stall, so I would need to have a run-in for her instead. They also told me that she was sore in her front left leg and that with some minimal management she would be just perfect for trail riding. These were all things I willing to accept knowing exactly what I was getting. Ultimately, I decided the little sorrel mare was the right fit for our family and we chose to adopt her. The result: I was 100% prepared for what it would take to care for this horse and manage her as well as manage my own expectations. There have been no surprises and we could not be more pleased with our selection. The mission of the Right Horse Initiative is to massively increase equine adoption in the United States. To do that, we need to be able to convince prospective owners like myself that adopting a horse is not only a viable option, but the best option. There are countless reasons why adopting a horse is smart. First of all, a good adoption agency will always take a horse back for the lifetime of a horse. This is really a pretty nice deal. Not only is this policy helpful if the horse turns out to not be the best fit, it’s a lifelong safety net for the horse. Good adoption groups’ number one priority is making sure that the fit is right for the horse. They would much prefer the horse return if the adopter’s circumstances were to change or the fit turned out to be less than perfect. Adoption groups also would never want one of their horses to fall at-risk, even years down the line. When I selected Rosie, the adoption group assured me that if she wasn’t the right fit, they would happily take her back, which gave me a lot of confidence in my decision. How can you turn down that kind of offer? Another reason why adopting a horse is the smart thing to do is economics. For the most part, adoption fees of transition horses are quite a bit lower than the traditional horse market. The lower adoption fees reflect the priorities of adoption groups which lie in finding the right fit for their horses versus making a profit. I adopted Rosie for about a quarter of what I would have paid for her in the open market. Adoption groups typically fundraise by methods other than the adoption fee to make up this difference and cover expenses. Lastly, adopting is the smart thing to do because it creates sustainability in the horse market. There are way too many good and valuable horses that fall at-risk each year that simply need the right visibility and opportunity to find a new home and career. The good news is that we, horse welfare advocates, have compelling arguments that adopting a horse is not only the right thing to do but also the smart thing to do. However, the horse welfare industry still has a great deal of room for improvement to create consistency and improve transparency in the experience for potential equine adopters. Here at The Right Horse we strive to assist our partners to achieve these improvements and are continuously working with them to develop new tools and techniques to attract adopters. In upcoming blog articles, we will discuss new tools that provide consistent ways to assess adoption horses’ behavior, provide new marketing strategies, and obtain concrete data that allows us to objectively measure our collective progress in increasing horse adoption. There are so many possible avenues besides adoption through which a prospective owner can find a new horse that it’s critical we make the search and adoption process as accessible, transparent, and user-friendly as possible. The Right Horse is committed to continued investment in improving the overall adopter experience to help massively increase horse adoption in this country. Most importantly, these improvements will help create perfect matches like the one we found in our new little sorrel Rosie.